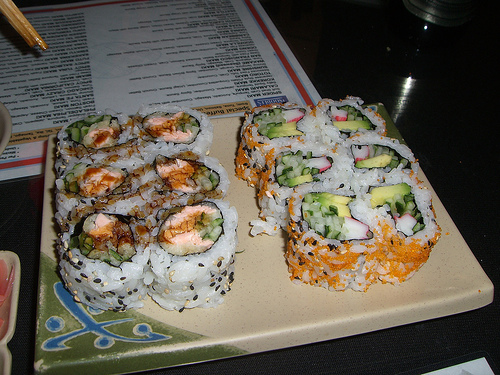 The California roll is an example of maki-sushi or rolled sushi. 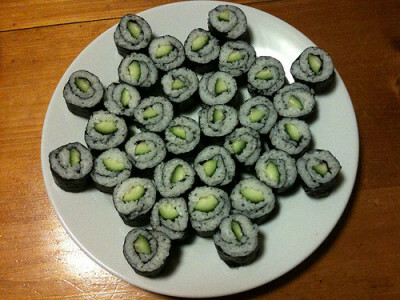 It is made of nori (sea weed), rice, faux crab (fish sticks), Julliene cucumbers, avocado, and wasabi. 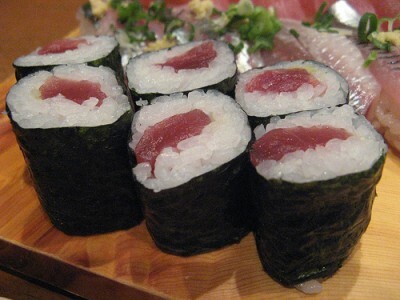 It is one of the standard varieties of sushi that everybody is familiar with. It contains no raw fish but is still tasty. Even though California rolls are made by most sushi establishments in the U.S., there can be a wide difference in taste from place to place because of the way the ingredients are prepared, specially the rice and the ripeness of the avocado. It's a great starting place for anyone who is just starting on their sushi journey. 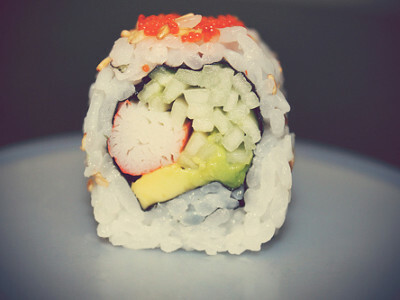 Though I thoroughly enjoy a good California roll, they are by no means my favorite. I would always prefer a good, firm uni nigiri-sushi.